I'm only partially joking here. This comes from a comment I left on a post on Eric Lanke's blog (which, by the way, has shifted from the Hourglass blog to simply "Eric Lanke," so be sure to switch your subscription). He had written about an experience he had on a committee that wasn't pleasant and was reflecting on how the Chair might have "lead" the committee differently. But as I read what he was writing, I was coming to the conclusion that the very existence of committees was the problem, and debating how best to lead them was futile. This is not a new idea, of course. Jeff De Cagna wrote "No More Committees" in our "We have Always Done it That Way" book five years ago (yes, FIVE years ago!). I agreed with his point then, and I agree with it now. But as I was thinking that, I also thought, wait a minute. Aren't I a big fan of de-centralization? Shouldn't I like the fact that we allow the system at large to have committees to get work done? Isn't the alternative simply leaving everything up to the Board or the staff--making it all centralized? No. This is one of the biggest problems facing the association world today. We are confused about decentralization. We argue that the members "own" the association, and our governance structure, including our standing committees, is part of that. It's how we "engage" our volunteers in the work of the association. It's how we "develop" our "leaders" by giving them the opportunity to show us they have what it takes to lead. That is misguided. Committees, in that way, are miniature Boards. They just have a more limited domain (like membership, or education, or government relations, etc.). That is not decentralized. That is fractured. That makes things even worse because it gives the committees (and particularly the committee chairs) the notion that they are in charge of their domain (in a very centralized way). It takes "centralized" and reproduces it in multiple places. That is VERY different from decentralized. And I don't think it's a good venue for developing true, systemic leadership. Decentralized means shifting power from the center to the periphery, but in a way that understands and honors the nature of the whole system to begin with. When we create islands of control in the form of committees, we are not honoring the integrity of the system. We are not shifting power to the periphery. We are praying that a blind delegation of very limited decision making authority will not come back to haunt us later as we implement our centralized plan. I think that's what Jeff was talking about five years ago when he recommended getting rid of committees, and instead enabling small groups to form to solve specific problems for the association, and then dissolve. Or, as Eric said in a reply to one of my comments, they are called task forces and a lot of associations are moving in that direction. Really being decentralized is going to look and feel a lot different. Committees (or task forces, or whatever you want to call them) are more likely going to emerge, rather than be assigned by a nominating committee. Leadership of those committees will not be based on the control and authority of a "chair" (since when is a chair a powerful thing? It's an inanimate object!). Leadership will be more facilitative, because the goal is having a positive impact on the system, not ensuring that my committee gets an increased budget next year. We're going to reduce the value we give to reports, minutes, and task lists, and we're going to increase the value on communication, problem solving, and collaboration. If this interests you, then start working on it today. Don't abolish your committees (because they will fight you tooth and nail). Just start creating these new groups in parallel. May the best model win. Neither committees nor task forces (which are just committees by another name) are about distributing responsibility for problem solving, value creation or decision-making across our organizations. Instead, they are about another word you use: delegation. 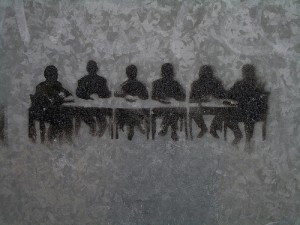 Boards delegate tasks to committees/task forces with the unspoken yet understood expectation that the subordinate group will return a recommendation in line with the board’s view of the issue and the politically-acceptable solution. On the infrequent occasions when such expectations are not met, boards will question the validity of the committee’s work and often substitute their own judgment, clearly demonstrating the lack of trust that actual decentralization requires. But you want to know what’s really disappointing? It’s almost 2012, and there is widespread acknowledgment that committees/task forces are a part of the problem, not the solution. And yet, here we are, still doing things the way we’ve always done them and expecting a different result. I’m going to push back on you guys on this one. Don’t throw the baby out with the bathwater. The kind of committees you’re talking about (especially in Jeff’s comment) are symptoms of the larger problem facing associations. But “committees” or “task forces” or whatever you want to call them that engage members in the process of strategy definition and execution and that allow members to develop new knowledge and skill sets are very much part of the solution. Always have been for associations. Push back welcome! Clarification: I agree wholeheartedly that engagement is critical, including engagement in strategy definition and execution, and including engagement that increases skill and knowledge. That’s all important stuff, and will continue to be important into the future. I’m just not convinced you need committees to do that. I know that “your results may vary” when being on a committee, and Jeff’s description covers the negative ones, for sure. There must be examples out there of committees that did amazing things and helped grow the organization in the process. But seriously, what’s the ratio of good to bad experiences here? I have LOTS of bad experiences in my own personal memory, and very few really good ones, and I don’t think I’m alone in that. I think there is something deep in our collective definition of “committee” that sabotages true decentralization without us realizing it–that takes us further away from the engagement you are talking about. I think we really need to challenges ourselves to come up with some NEW ways of engaging people and developing and implementing strategy. I think when we fall back on committees, we put ourselves in a hole that is often too deep to really climb out of. I agree, you don’t need committees to drive engagement, but if you’re able to use committees to drive engagement, then why not use them? Sometimes the rhetoric leaves me with the impression that we’re supposed to think committees are bad and should be abandoned. Bad committees should be. Good committees should be embraced. Eric, you’re right: all committees are bad and should be abandoned. But we must try not to conflate the good people who serve on those groups with the inherently flawed structure of the committee itself. The committee construct, by definition, serves the needs and interests of the institution by focusing only on its outputs. By ridding ourselves of committees, we can focus on building better platforms for collaboration that serve the needs of the collaborators to achieve their outcomes. Now is the time for us to create the next practices that will make our organizations more successful. All committees are bad and should be abandoned? Is that what you meant to write, Jeff? That’s not what I think. Actually, I’m pretty sure that’s what he meant. Despite the positive experiences people have had, the very form of the committee is slowing us down, holding us back. I think this is a very interesting question, though we may be hitting the limit of productive conversation on a blog. Eric, you won’t be at the Tech conference next week by any chance? I’d love to sit around the table with you and Jeff and talk more about this. I won’t be at the Tech conference, no. But I am coming to DC in mid January for another event. Email me. Maybe we can set something up? Also, I wonder how much of our disagreement is over form rather than function. Groups of members coming together with common purpose to advance themselves and their association = good, whatever you call it.